Discover what the big players in the aerial photography and videography game already know to be true: a helicopter is the quickest distance between you and crystal-clear footage, of any Ohio landscape. With so many individualized helicopter services provided by so many qualified helicopter providers, it’s time that you discovered the advantage that is aerial photo and video services. Helicopters can hover, circle and even land and takeoff within only minutes, along the way providing you with the perfect shot to complete any project. With a variety of experienced helicopter providers manned by certified pilots, you’ll find yourself employing the tried and tested method for improved footage capture and surveying across all of Ohio. You couldn’t ask for a better setting for all of your aerial photography and videography needs than the state of Ohio. Welcome to midwestern America, home of largely flat landscapes, a region steeped in natural history and home to countless attractions worthy of capture from high above. Helicopters can also overcome a wide range of inclement elements in Ohio, including snow and winds. Fully compliant with FAA regulations, these helicopters capture everything from downtown Cleveland cityscapes to private wedding settings. Pan the rock and Roll Hall of Fame, capture the excitement of Cedar Point from above, even embrace the intimate stillness of Cuyahoga Valley National Park, with the diversified footage-capturing options available through FairLifts. FairLifts can connect you with the right helicopter provider, in order to expedite the extent of your aerial photography or videography needs, to your utmost satisfaction. Working within the parameters of both your budget and your individual preferences, you can always craft a personalized solutions package, one that accommodates your itinerary and captures picture-perfect footage in Ohio. 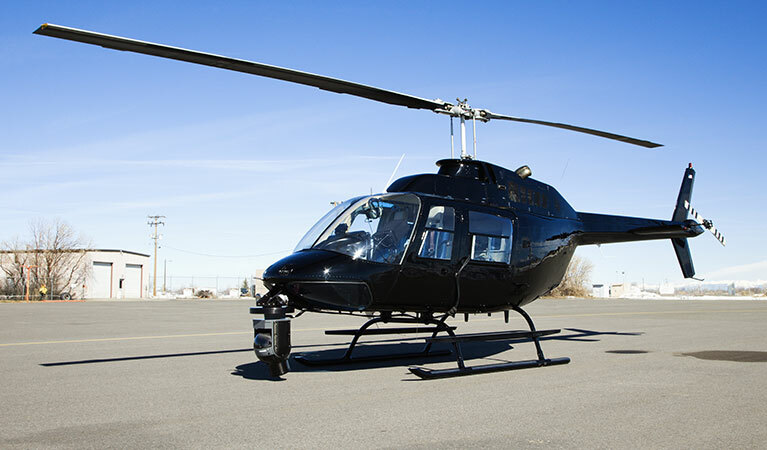 An extensive network of experienced Ohio helicopter providers put aircraft and hardware alike to work for your venture, for project completion on time, according to your specifications. Pair your photography and videography needs in Ohio with mounted cameras, 360 degree helicopter mobility, and hovering capacities for a streamlined footage-capturing experience. Cutting-edge camera work from the industry’s best helicopter pilots make short work of all aerial endeavors, capturing cityscapes, rural Ohio landscapes, monuments and more in no time. For quick, accurate readings, your next aerial surveying and mapping endeavors deserve the full helicopter package. Hover above any location for extended periods of time, and maneuver at your will above landscapes of your choosing, to fulfill precise readings and achieve unrivaled surveying and mapping readings while above the ground. All of your reconnaissance and surveillance endeavors are completed easily by air, thanks to helicopter-facilitated operations in Ohio. Survey a region of your choosing, and maintain tight security parameters, with the surveillance perspective achieved by low-flying, enhanced helicopter logistics. Ohio reconnaissance by helicopter provides accurate findings in less time. Assist environmental efforts, with pinpointed wildlife aerial census and sampling endeavors exclusively by helicopter in Ohio. Account for species movement, wildlife population fluctuations and more from above, while a helicopter pilot trains your focus on activity below with specified movements. Census and sampling are provided a simple solution by helicopter. Every hour of every day, our customer service associates are available to answer any questions, and to help you begin reserving your aerial photography and videography helicopter package in Ohio. Alternatively, you can fill out a customer contact form online, for an expedient response within 24 hours.